When J and I moved into our new flat in London, one of the things that we thought about was having family and friends over for a meal. The truth is, I have long dreamed of hosting a three-course sit-down meal at home, but it was quite impossible to do so in the last 14 years because I was either living in a studio flat or sharing a house with other people. Dinner at home during those times meant a buffet meal or sitting on the floor- Japanese style. When we were in New Zealand, I was able to sort of host a couple of small lunch parties but still, it was more or less a buffet style. 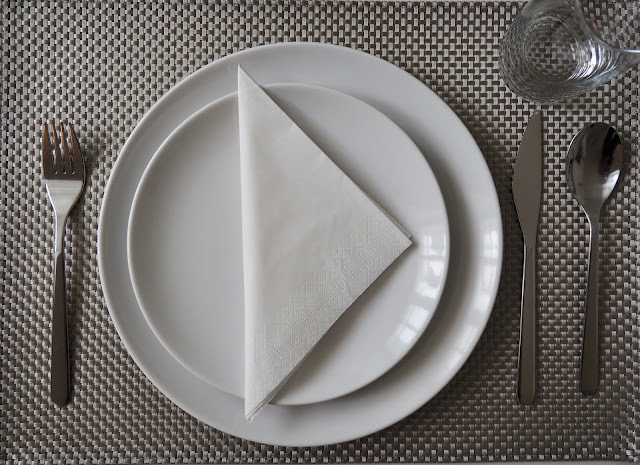 It was only when I had my friend Ei over that I was able to somehow have a sit-down meal with a guest. But even so, we had breakfast stools rather than proper dining chairs. 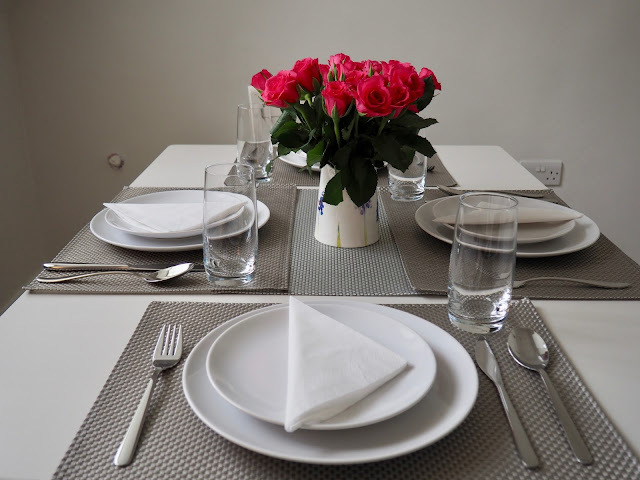 It took us at least two months to partially furnish our flat in London so it wasn't until then that we were able to invite friends over for a meal. It was sort of a house blessing sans the priest and prayers. The blessing was our friends and their little one. 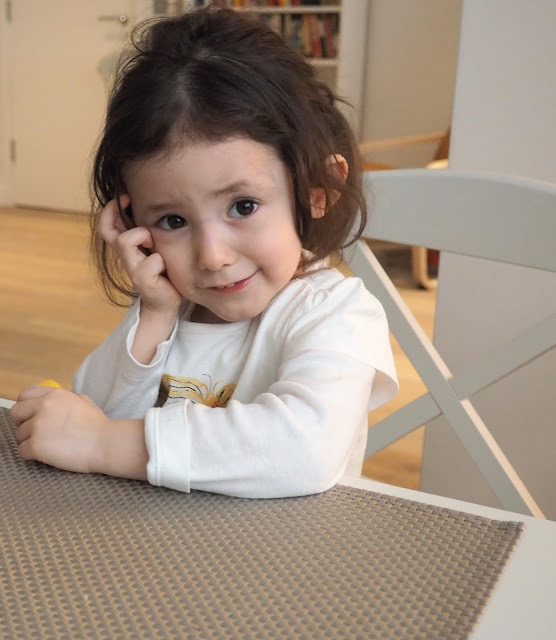 Surely, they have brought a lot of blessings into our home and into our lives. Needless to say that this was an exciting time for me because I was able to finally play "plato-platuhan". I had a more elaborate table arrangement in my mind, however our place is still not big enough for that, so I thought I'd start with something simple for now. 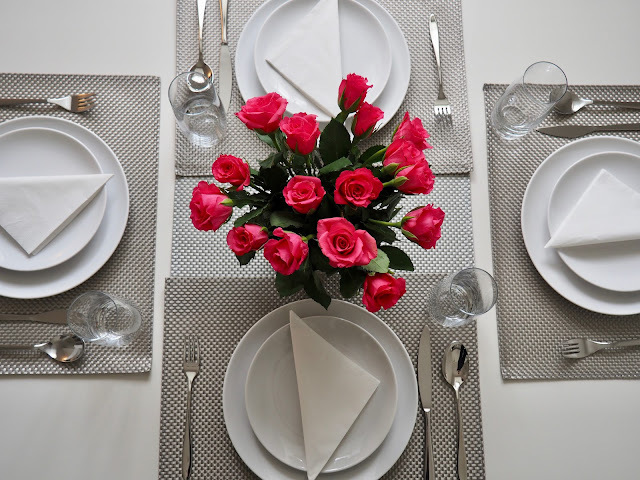 So, I proudly laid our dinnerware from Ikea and came up with the most basic table setting that I learned from when I was training to be a nanny in Canada (yes, I did that). 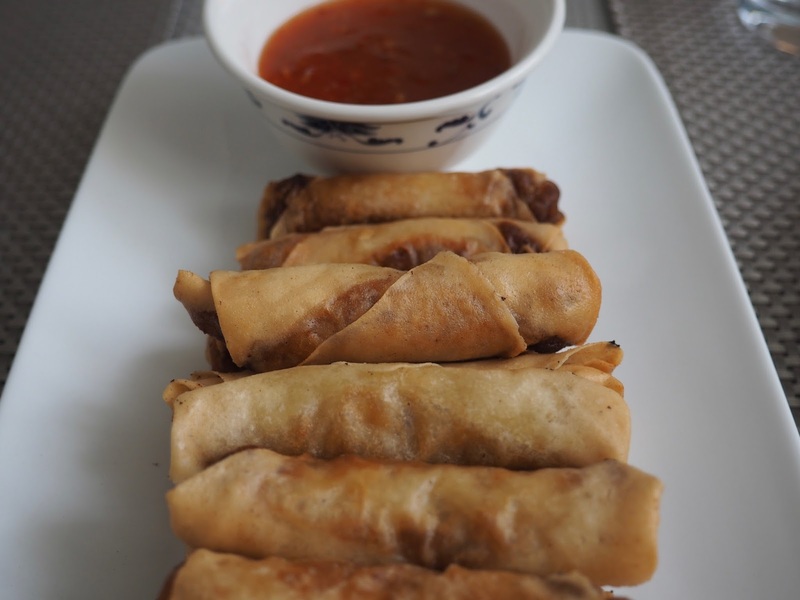 For starters, we had "lumpiang Shanghai" (spring rolls). I've never failed on this so far so it was my best bet. As expected, they loved it. For the mains, I decided to cook two dishes but the star dish was - what else but my famous Kare-kare (oxtail in peanut butter sauce). If I can be honest, this is the only Filipino dish that I can definitely cook with confidence. It's my favourite as it reminds me of my childhood. When I was in grade school, I often helped my Auntie Eding at her restaurant and she used to make Kare-kare from scratch. Hers is one of the best Kare-kares I've ever tasted. Because of her, I fell in love with this dish. 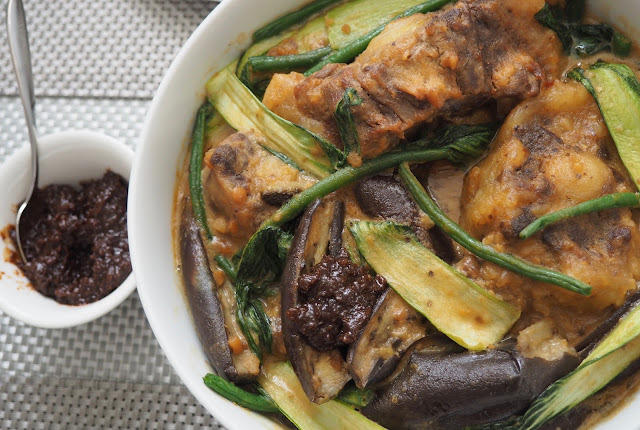 Kare- kare is also the first Filipino dish that J ever had. Unfortunately, I have yet to convert him into eating my native food because most are eaten with rice and he doesn't eat rice that much. But he likes my Kare-kare, so we're good. Do I have to mention that my friends enjoyed my Kare-kare very much? 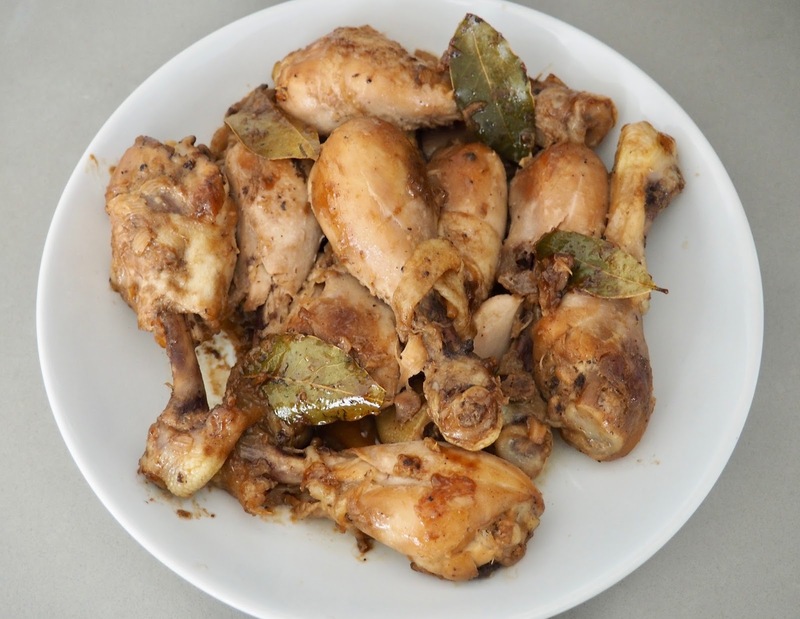 Now, my anaemic naked chicken adobo. I am not proud to say that I can't cook our national dish. I have tried so many times, but each time I failed. I don't know what I have been doing wrong. My adobo never really tasted like adobo. This time though, it sort of did but I used light soy sauce, hence the anaemia. Perhaps J and our friends were just being polite but they said it was actually good. Ah, didn't I just say that I didn't want to cook something that I haven't cooked before? I've forgotten that I actually baked cassava cake for the first time ever. I was originally going to make fruit salad, but when I showed J a photo of it, he disapproved right away. I also considered leche flan but J has tried it before and he didn't like it. He said it was too eggy. 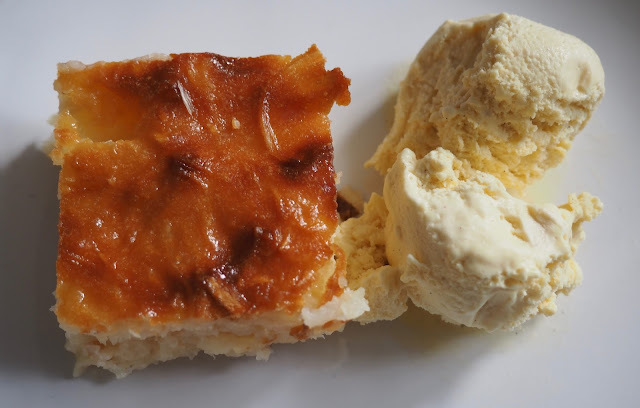 The rest of the Filipino dessert recipes I found online were way beyond my cooking ability. And so I thought I'd try cassava cake because I have seen someone made it before and I thought that I could easily do the same. Unfortunately, my first cassava cake was almost a failure (as well as the presentation.) I basically didn't get the consistency and the flavour that I wanted. Although J and our friends liked it, I definitely could have done better. Luckily, I thought of vanilla ice cream to go with it. That did the trick I must say. And so that was my first ever three-course Filipino sit-down meal at home. I really enjoyed the whole process and I am happy that I had the Munchkins to share this beautiful experience with.